Grand View Lodge is excited to offer a summer-filled with golf for the next generation of pros – our children! We also offer “rookie” clinics for beginner adult golfers for just $25 per person, held every Wednesday and Sunday from 1:00 p.m. – 2:00 p.m. If your child is age 5-15, they can also join the free junior clinics, which are held every Saturday from 1:00 p.m. to 2:00 p.m. If you’re coming to enjoy a day of golf at Grand View Lodge, make sure to bring your little golfer along! We offer free golf for all juniors (age 5-15) at the Garden Course, which features a kids tee box and 6” cups on each green, or young golfers pay $10 golf at the Pines or Preserve (age 10-15) with a paid adult – all season long! Clinics and free lessons start on May 26 and run until September 2. “Our clinics are designed to fill the knowledge gap whether it’s as simple as correcting a golf swing, to more in-depth skills and techniques that can make or break your game,” said Jack Wawro, The Pines Head Golf Pro. “Most times, guests just need a couple hints to improve their stance and swing to help them really enjoy the game.” All summer clinics are held at the Pines’ driving range and ask guests to meet in the Pines’ clubhouse 15 minutes prior to the session start. Contact Jack Wawro at 218-963-8741 for more information about signing up for the clinics and free lessons. Need to make a tee time? We have a few new ways to do that. 1.) Download the free Grand View Golf App on your iPhone, iPad or Android. From the App, you can book your online tee times for any of our courses by selecting your course logo of choice whether it be The Pines, The Preserve or Deacon’s Lodge. After registration, you will find live tee times and pricing currently available, as well as receive special offers, such as $10 off your first booked tee time, given exclusively to Grand View App Golfers! 2.) Book on our Facebook pages. Each of the courses – The Pines, The Preserve and Deacon’s Lodge – has their own Facebook pages to announce Facebook-only specials and contests. ‘Like us’ and you can book your tee times from the “Online Tee Times” button at the top of the page. 3.) Book on our website at www.grandviewgolf.com. Here, you can login by creating a username or login using your Facebook account at all three courses. No matter which method you use, you will only need one username for all. Easy and simple to use, plus allows you the ability to track your play throughout the year. 4.) 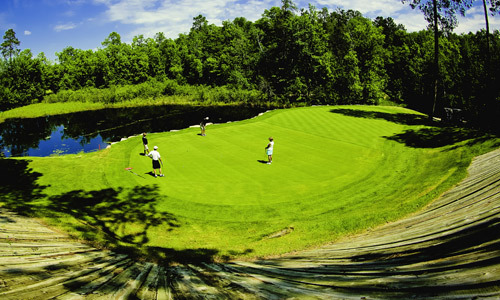 Call direct to 1-888-437-4637 and book your desired tee time. However you prefer we look forward to seeing you on the course this summer.